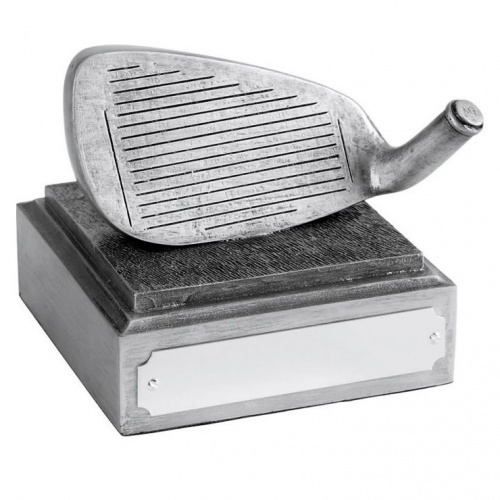 Resin golf Nearest the Pin awards from Awards Trophies Supplier .co.uk. Finely detailed resin golf iron in antique silver finish, on integral base with engraving plaque. A value for money golf clubhouse award.